A study involving more than 2,000 Australian adults aged over 50 reveals that people who regularly eat oranges are less likely to develop macular degeneration. Researchers followed the participants for 15 years and found that the individuals who ate one serving of oranges per day, had more than a 60% reduced risk of developing late macular degeneration. 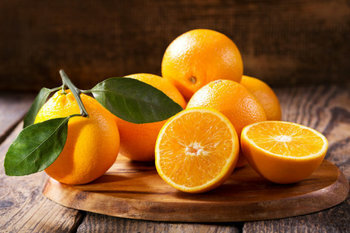 "Essentially we found that people who eat at least one serve of orange every day have a reduced risk of developing macular degeneration compared with people who never eat oranges," said lead researcher and associate professor, Bamini Gopinath. Please contact SDCB to learn more about our innovative programs for people living with vision loss.